Steve Crevier is the most successful racer from the legendary mid-1980s British Columbia scene, his career launched from the “mountain high” Westwood venue outside Vancouver at the height of racing’s popularity on the “left coast.” Born in Montreal, Crevier started off moto crossing in B.C. 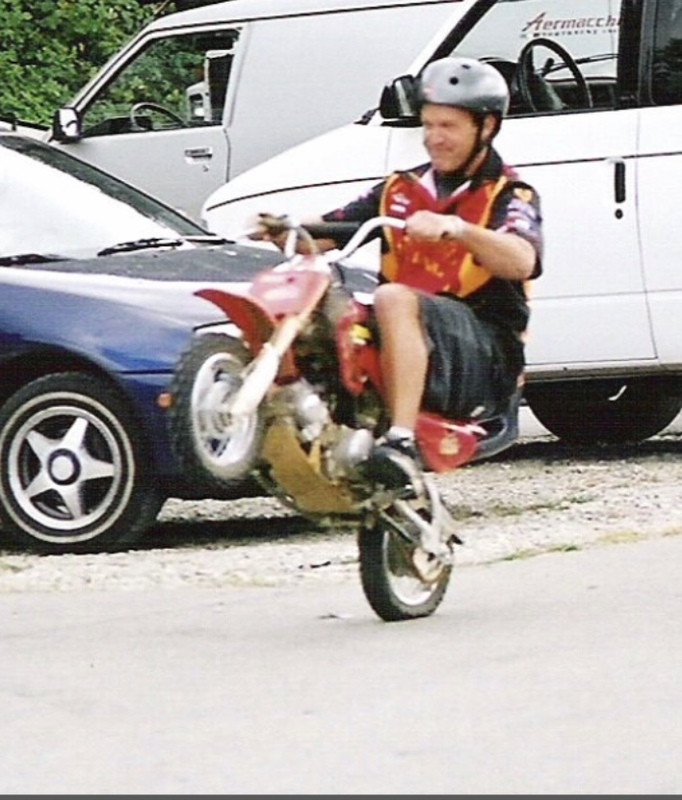 and soon cut his pavement teeth on Yamaha’s famed two stroke twin RZ350, earning the nick name “Squid Kid” while still a front-running teen-ager. As well as enjoying a long-lasting and very successful career, Crevier is also perhaps the most flamboyant and outspoken racer of his era, impressive given that Crevier rose to road race fame at the same time as popular Hall of Famers Miguel Duhamel and Jon Cornwell. 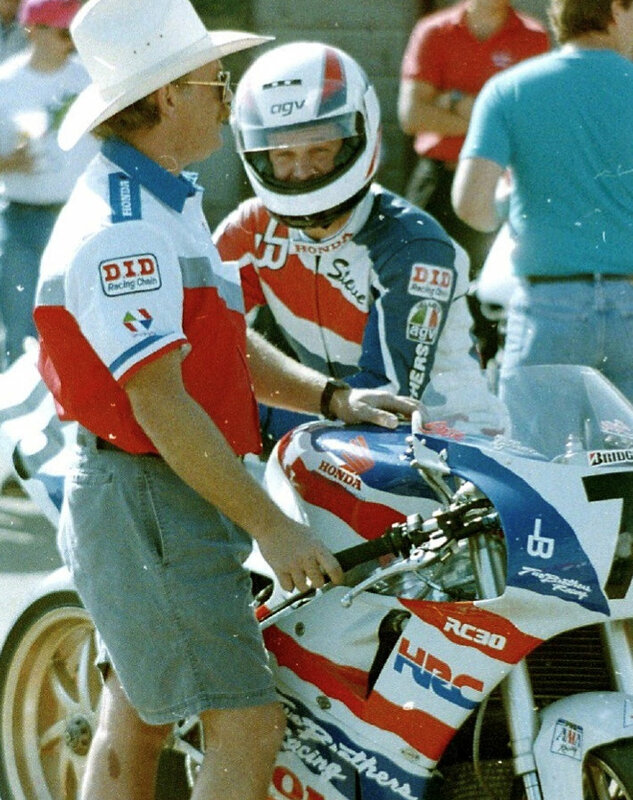 Crevier turned Pro in 1985, at the same time as Yamaha’s potent new five-valve FZ750 arrived in dealerships, including his long-time supporter Pacific Yamaha. 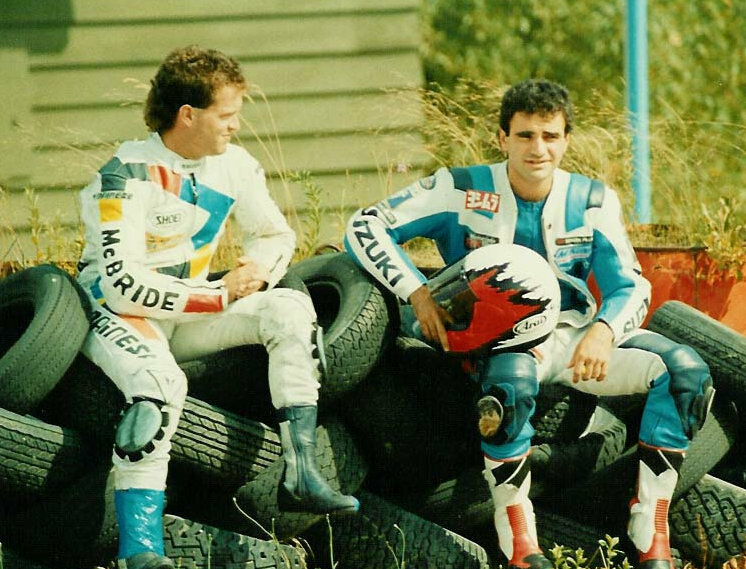 The next year, Crevier got an ex-Rueben McMurter FZ750 Superbike, and stunned the racing scene by defeating National star Michel Mercier at Sanair International in Quebec in Crevier’s first appearance at that track. For the next two years, Crevier competed in Canada and the U.S., in Superbike, SuperSport and 250cc Grand Prix class Yamaha equipment. In 1989, Crevier lead Yamaha Canada’s program with the new OW-01 “homologation special” Superbike, new Production class FZR600, as well as a Team Ciampini Aprilia 250cc Grand Prix machine. 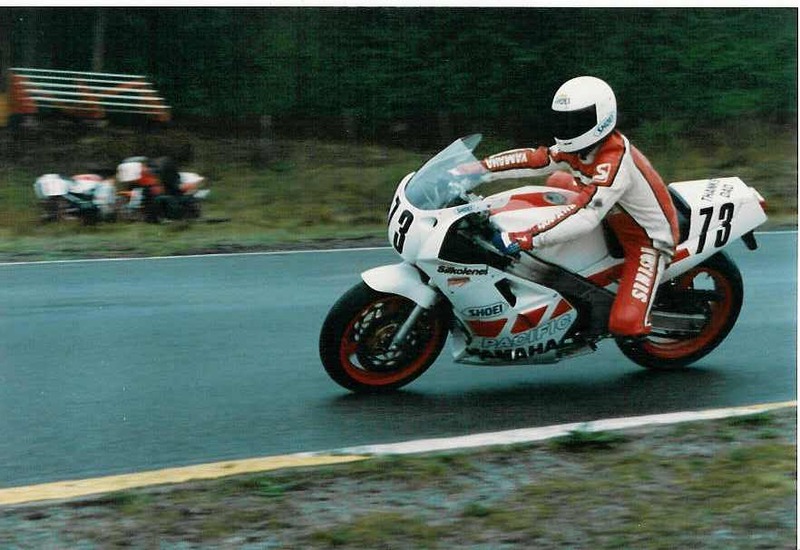 1989 was Crevier’s breakthrough season with tuner Rick Hobbs, sweeping all three of the top classes in the Motoplan-Castrol Canadian National Championship. 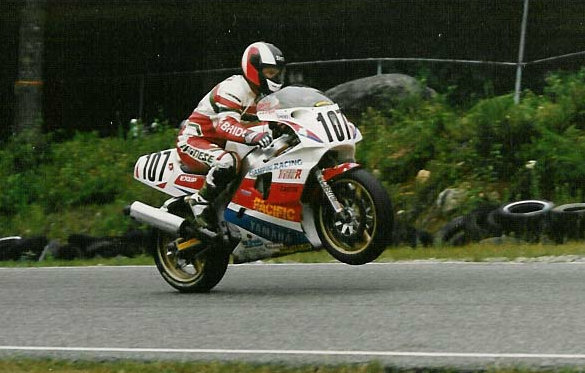 Crevier was also top Canuk at the Mosport World Superbike round, earning big financially from his dominant campaign as well as scoring a prize car! 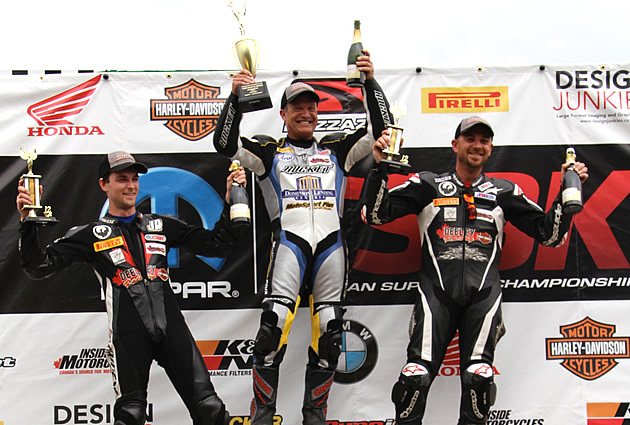 After the North American season, Crevier competed in the Australian and New Zealand Superbike races, and won a race at the invitational event in Mexico City. That success lead to a full-time factory ride with Yoshimura-Suzuki in the U.S.A. That deal came apart mid-season and Crevier returned to join the Canadian Kawasaki squad and still manage to grab the Grand Prix crown on the Aprilia. 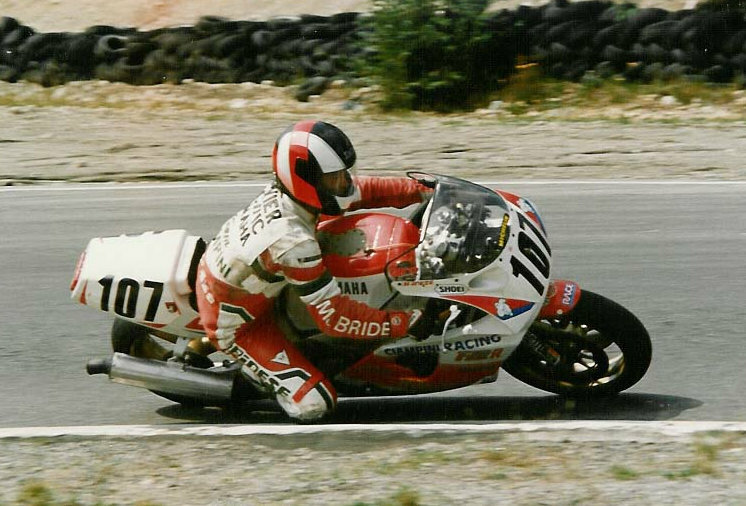 In 1991 Crevier rode for Two Brothers Honda on Bridgestone Tires in the U.S. He dominated on Dunlop rubber for Canadian Kawasaki and did the same in 1992. 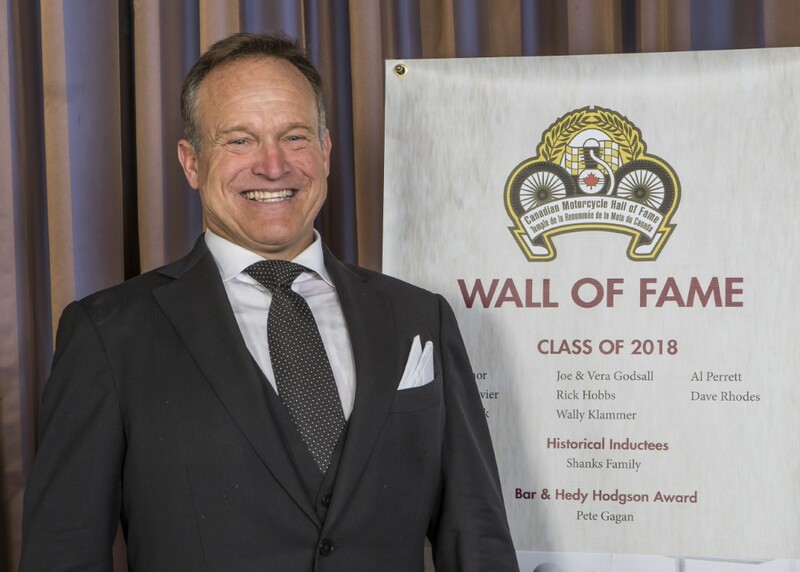 In 1993 Steve clinched his fourth Canadian Superbike title, and ran his own program on a privateer Weld-Rite Kawasaki Ninja 600 in the U.S., earning a remarkable seven podium placings. Steve also rode in the prestigious Suzuka Eight Hour race in Japan for the first time. 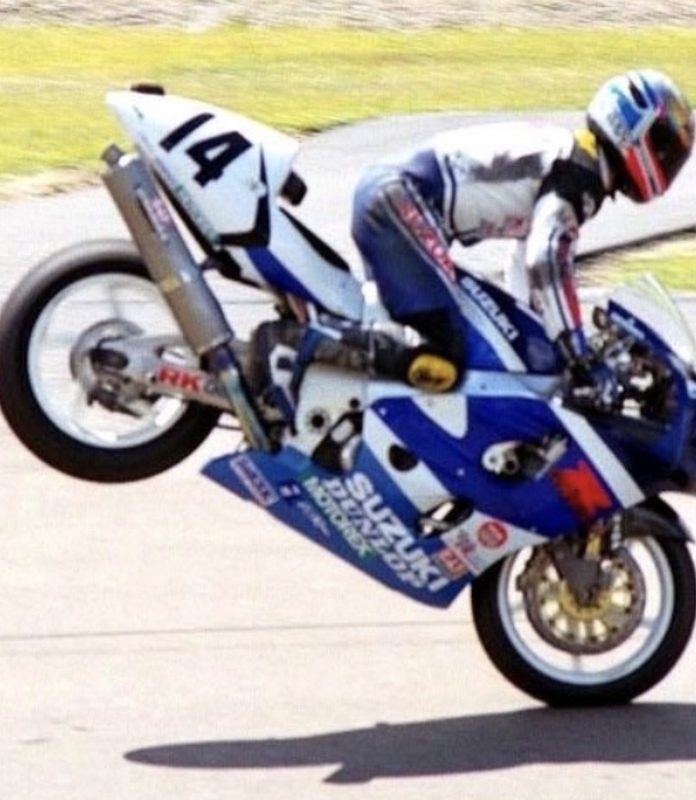 That brilliant effort meant a second factory opportunity in the U.S. in 1995, joining the famed Muzzy-Kawasaki squad, earning podiums in Superbike and SuperSport. This helped Steve to join Camel-Honda in 1996, where he was team-mate to arch-rival Miguel Duhamel. 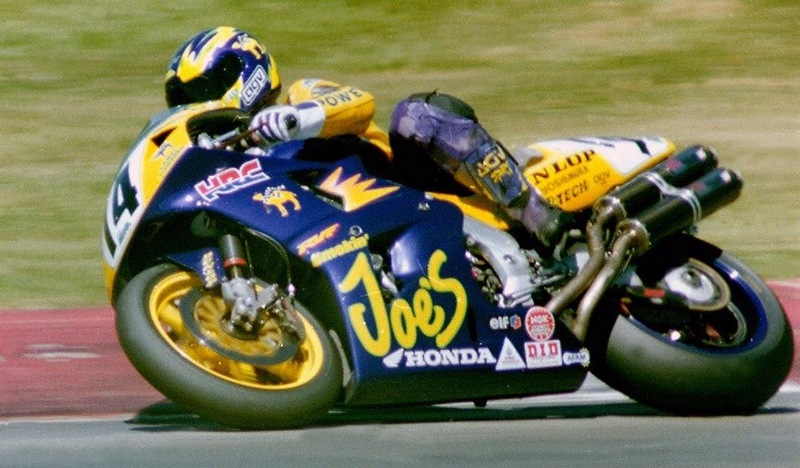 While Crevier had a number of strong finishes in his first works Honda campaign in 1996, a serious water craft accident interrupted his season and would continue to affect his health for years to come. 1997 went better, Crevier taking fourth overall in both Superbike on the RC45 and Supersport on the CBR600F3. 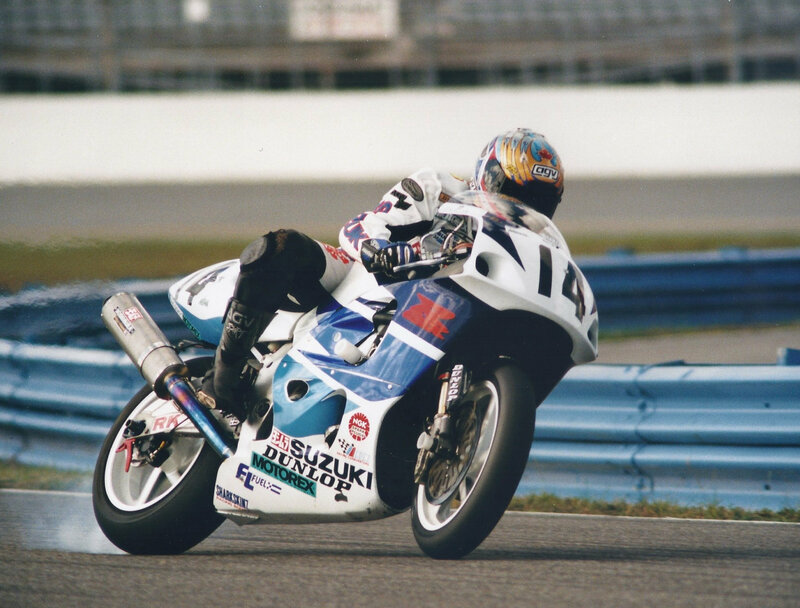 In an ironic twist, Crevier returned to Yoshimura-Suzuki in 1998 and had his “career year,” earning the Champion’s crown on the GSX-R600 in the ultra-competitive SuperSport category and developing the new TL1000R twin in Superbike, placing a strong seventh overall. 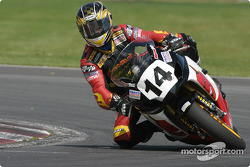 The next year, Crevier was 10th overall in Superbike and seventh in SuperSport with the number one plate on his Suzuki. 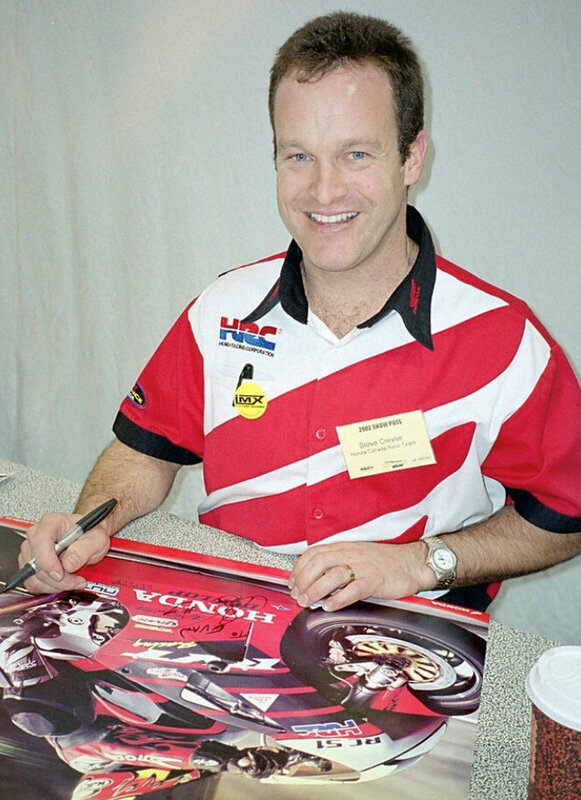 Crevier returned to Canada in 2000, joining the Honda team run by Hall-of-Famer Alan Labrosse with tuner Peter Snell and earned his fifth Superbike title on the new RC51 twin; the next season he repeated while also winning the Sport Bike number one on the CBR600F4. Unfortunately, 2002 was spoiled by an early season broken ankle caused by a mechanical failure. 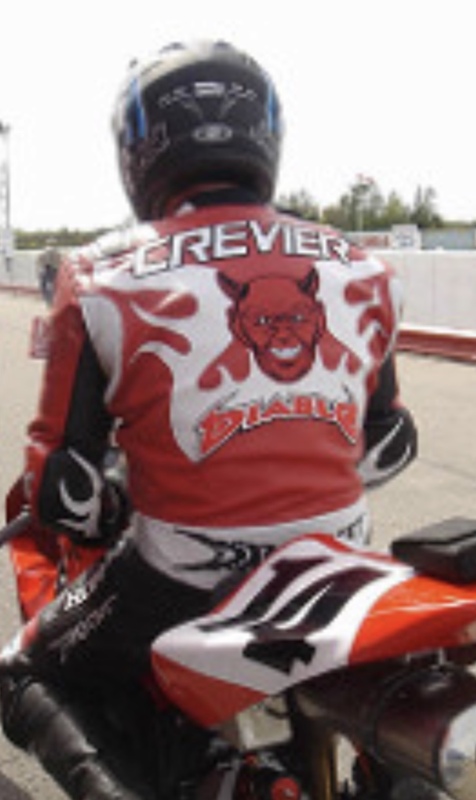 Then Crevier moved to the Montreal-based Diablo Paintball Suzuki squad, eventually earning the 2005 Sport Bike title on a Diablo-Honda – Crevier was usually the rider to beat in 600cc class action across North America. 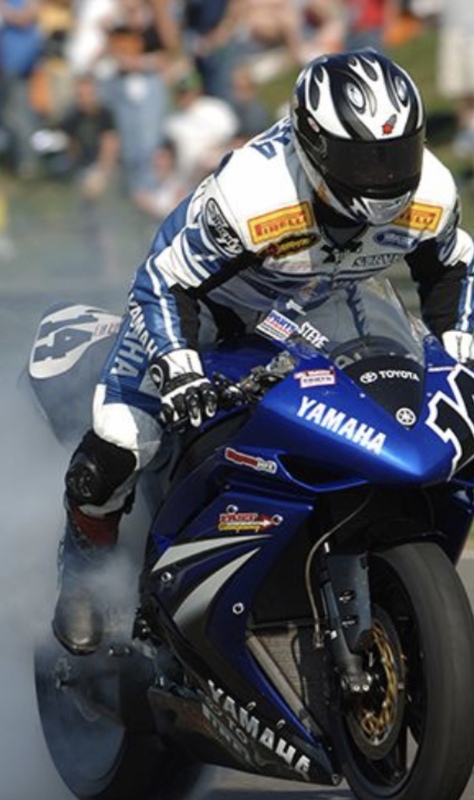 In 2007 Crevier moved to the Fast Company Yamaha Canada team, and finished the season with three wins in a row on the factory YZF-R1 tuned by Scott Miller, ending a close second behind Jordan Szoke in the Parts Canada Superbike Championship. 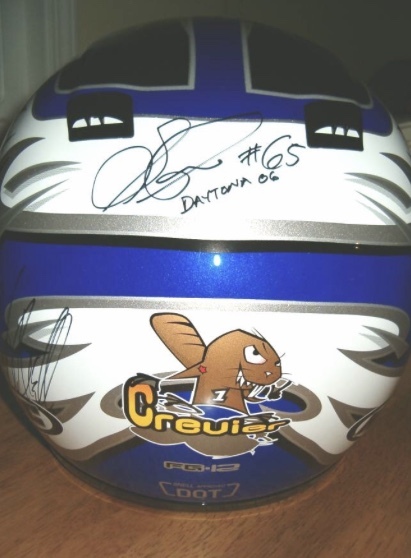 Considered the favorite heading into 2008, Yamaha downsized their program and Steve would not win another Superbike race, ending his career with a then-record 26 victories and six overall National crowns. 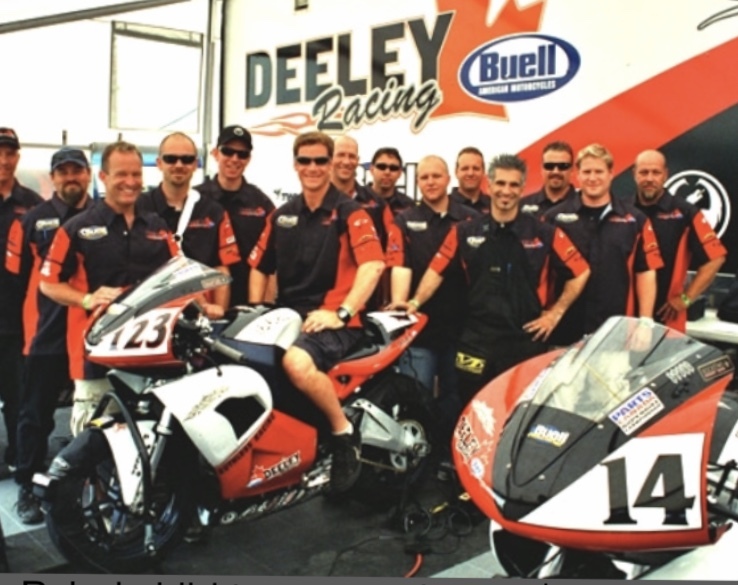 A move to the new Buell twin attracted lots of attention in 2008, and Crevier took an incredible third in the bike’s debut at Calabogie, ON. However, that program ended the next year, and Crevier would never again compete in the premier category. Harley-Davidson launched a new spec series for their XR1200 twin in 2011, and Steve earned that series title for the Motosport Plus squad of Kingston two years in a row, also showing well in the same class in the U.S.A.
Now 53 years old, Crevier lives in the lower mainland of B.C. with partner Lindsay and their young family.